OPT owns three fields to the south of Willow Walk between the Seacourt and Bulstake streams, bought in 1978 from the Pirie and Van Heynigen families, to preserve the rural atmosphere of North Hinksey and with a proviso that we keep them in agricultural use. 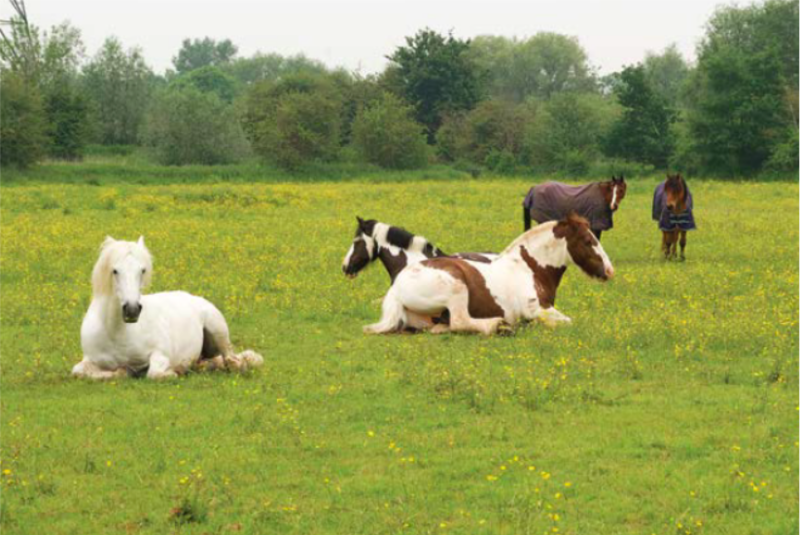 The fields were grazed by horses from the local riding school for many years until it closed in September 2017. The ‘oxen ford’, thought to be the origin of the name of our wonderful city, is to be found on the footpath which runs behind The Fishes. One of the fields is home to a colony of Creeping Marshwort (Apium repens), an Endangered Species introduced here in 1996 by local conservationists using plants from nearby Port Meadow where it was in danger of being lost. In 2011 the Environment Agency installed six large culverts beneath Willow Walk to increase the flow of flood water downstream. Since then, finding a solution for flood relief has got more momentum and in 2016 the Environment Agency (EA) proposed a new Oxford Flood Alleviation Scheme for the west side of Oxford. The route will cross OPT land along 25% of its length, and sadly for us will damage the landscape and natural environment. This causes us a dilemma as it is difficult to object to a scheme which intends to reduce the risk of flooding for people and their properties yet goes against our remit of protecting and enhancing Oxford and its green setting. And if we do object the EA can resort to their powers of compulsory purchase. See our January blog. To date, OPT has been working with the EA as far as is possible and has secured some improvements to the scheme on Hinksey Meadow which will act to reduce some of the harmful effects. During a public consultation on the planning application, everyone was encouraged to 'have their say'. We have worked with the EA to get all the trees that will need to be felled marked with yellow along Seacourt Stream, Willow Walk and on the North Hinksey Causeway, together with arranging for the width of the channel to be marked out across our fields. We remain concerned that the large engineering bridges on Willow Walk and the North Hinksey causeway will change the character of this much loved part of Oxford irrevocably. In the meantime, alongside the planning application, the process of Compulsory Purchase has begun and we have objected to our land being taken in this way.